For most of us, the quest for healthy skin is an ongoing struggle. For others, the only quest is for health itself. 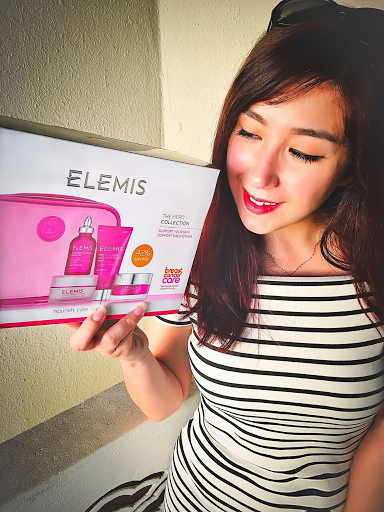 This month, you can get closer to reaching your #skingoals, while supporting Breast Cancer Care with Elemis. 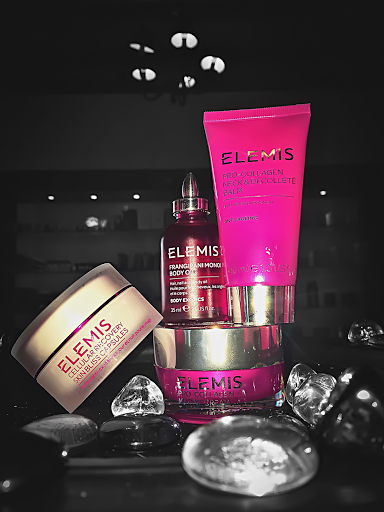 The Limited Edition ELEMIS: THE HERO COLLECTION comes in pink, which is recognised around the world as the colour to show support for women with breast cancer - and I mean completely pink! One of the brand's best sellers, this moisturiser is a bit on the pricey side, but according to online reviews, many women swear by it! A bit too rich for my skin, I'm gonna let my mom be the judge of this anti-aging miracle cream. "Firm and smooth the delicate skin of the neck and décolleté with this powerful balm. In just 28 days this area will appear smoother, softer and more youthful*. Apply morning and evening to neck, decollete and bust area. Massage with light upward strokes and leave for few minutes before dressing." Great for making your breast self-examination a pleasant one, and not such a chore. This body oil absorbs quickly so you're left with smoother, softer skin that smells heavenly, and no sticky residue. "This truly exotic oil is rapidly absorbed providing superior moisturisation for dry, parched or mature skin. This product solidifies at cooler temperatures. Place the bottle in a bowl of warm water to return it to a silkly liquid. 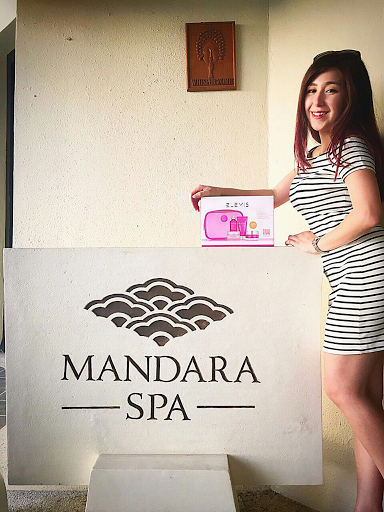 After bathing, apply to damp skin, massage over the entire body." The only thing I really wanna know though: how damp is damp?! The most luxurious serum I've ever tried. Love the way it warms up almost instantly when you rub your palms together before applying. "Formulated with optimum levels of anti-oxidant power to improve the visible signs of ageing and counteract the damaging effects of everyday pollution. These anti-oxidant moisturization capsules are the perfect skin-detox regimen for those who suffer the effects of pollution and lifestyle choices. Apply the contents of one pink Rose capsule in the morning (left) and one green Lavender capsule at night (right). 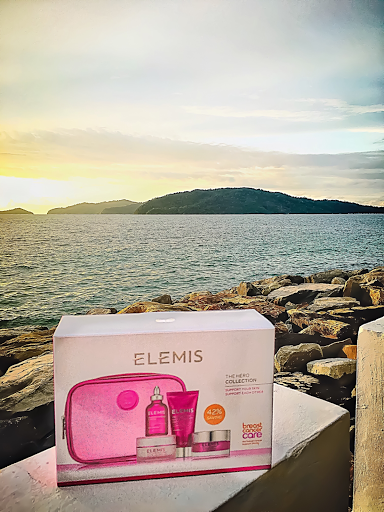 Follow with moisturiser"
Elemis has pledged to donate £10,000 to Breast Cancer Care in the UK, and by purchasing THE HERO COLLECTION, you can help them achieve that goal, while also achieving total face & body nourishment for less!